Gaudeamus collaborates closely this year during the Muziekweek with online radio station Stranded FM. 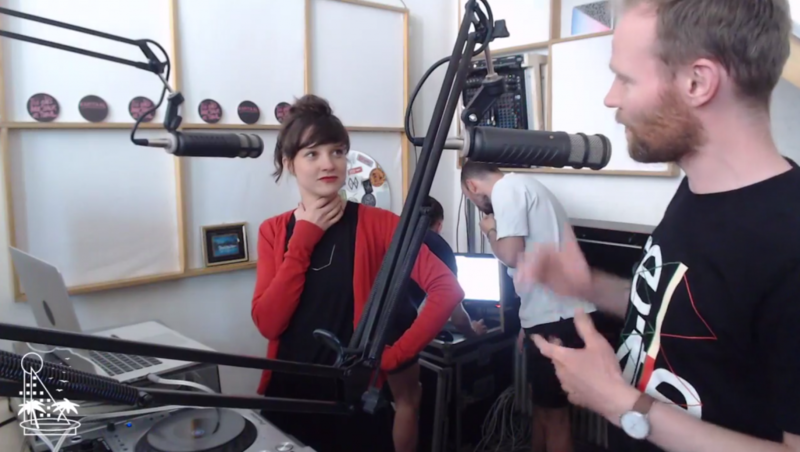 From Wednesday to Friday we make a daily live radio program from 16:00 to 17:00 in cooperation with Stranded FM, full of guests (composers and musicians) and (live) music of the festival. On Saturday we present during the Saturday Night a stage co-hosted and curated by Stranded. And on Sunday, we give a wide array of musicians from the festival carte blanche to make radio for an hour. On Wednesday, our hosts Jan Nieuwenhuis and Luuk Ottenhof invite pianist Nora Mulder who looks ahead at the premiere of The Garden by composer Richard Ayres. On Thursday, composers Bart de Vrees and Adam Basanta guest. On Friday, guitarist Jasper Stadhouders guests, who plays on the Saturday Night with Practical Music. Tune in daily on www.stranded.fm! On Saturday, Club Nine in TivoliVredenburg is turned into the Stranded FM Stage during the Saturday Night. Plastiklova, Cengiz Arslanpay, CARMEN & Matthew Schoen, Carla dal Forno, Coby Sey and Eva Geist perform, and in between the concerts a Stranded DJ plays. The whole Sunday afternoon, musicians from the Gaudeamus programme can fill an hour anyway they want to. The complete programme is still in progress, but you can expect surprising shows by Zeno van den Broek & Gagi Petrovic, Rita Karpati (BarmyFiveseveN), Boris Bezemer, Anthony Vine, CARMEN (Carmen Vanderveken), Luke Deane and others. Tune in on Sunday on www.stranded.fm!